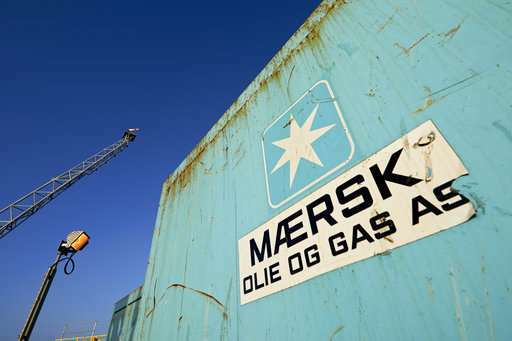 Janina von Spalding, spokeswoman for the world's biggest shipping company, said the new ice class container vessel, Venta Maersk, would embark on trial journey in the Arctic route over Russia next month. "I think it is important to underline that this is a one-off trial designed to explore an unknown route for container shipping and to collect scientific data—and not the launch of a new product," von Spalding said in an email to The Associated Press. "In today's fast-paced world, companies that want to lead must innovate," she said, adding the trial "will offer us a unique opportunity to gain operational experience in a new area and to test vessel systems, crew capabilities and the functionality of the shore based support setup." Von Spalding said the ship will leave Russia's Pacific port city of Vladivostok around Sept. 1 with a cargo of frozen fish and sail to St. Petersburg where it will arrive by the end of the month. "Currently, we do not see the Northern Sea Route as a commercial alternative to our existing network which is defined by our customers' demand, trading patterns and population centers," she added.